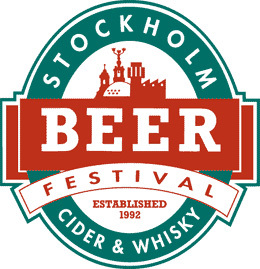 Tonight I'm going to the 2004 Stockholm Beer Festival with Åsa and Daniel. In recent years, whiskey and cider have been on offer as well, but I'm going for the beer. The last time I went was in 2000, just a month after first moving to Sweden. It was fun and I had a nice chat with the folks from the Weltenburger Kloster brewery in Bavaria. Years ago, when I was visiting my then girlfriend Andrea in Germany, I took a boat down the Danube to tour the brewery. I remember that at the end of the tour, our guide (one of the monks at the monestary) sang a brief prayer in the chapel. It was lovely. I don't know if piety plays much of a role in the beermaking, but regardless, the beer is excellent. For a while, serveral of their beers were readily available at the larger System Bolaget stores in Stockholm. I haven't seen them in the stores recently, but of course they can still be ordered from the catalog. I hope to taste some nice beers tonight.